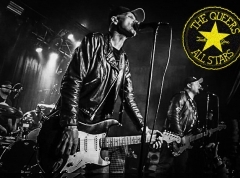 Some people would have them called dinosaurs, but the fact still remains that unlike most bands of their generation, Accept have aged remarkably well — like good wine. 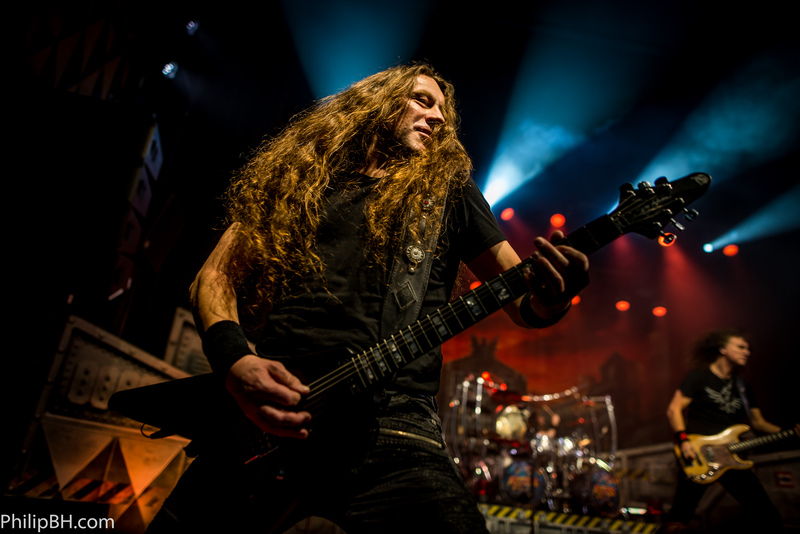 The German heavy metallers were once considered to be almost on par with the likes of Iron Maiden and Judas Priest, and even though their popularity has of course waned since then, they are still revered to an extent that they have no problems maxing out a high-capacity venue like the main hall at VEGA here in Copenhagen. The place is absolutely rammed with denim vested, leather pantsed patrons, some of whom could be grandfathers to a 30 year-old such as myself, and taking the temperature of the room as I arrive late to the party, everyone seems to be digging the exploits of the opening act, Night Demon. Sadly, the Ventura, CA-based heavy metal crew is engaged in its final song — a cover of Iron Maiden’s “Wasted Years” — when I turn up, so they must be spared my critique this time. Instead, I grab myself a pint and secure a good vantage point from which to behold the heavyweight headliners. Having released “The Rise of Chaos” last year, the first item on Accept’s agenda tonight is expectedly a rendition of its opening track, the call-to-arms that is “Die by the Sword”. But although most people obediently sing its effective chorus back at vocalist Mark Tornillo, it is pretty obvious from the get-go that Copenhagen’s veteran metallers have turned up en masse for the classics, and their enthusiasm becomes much more tangible at the onset of “Restless and Wild” — the titular track from Accept’s revered 1982-album. With the iconic lead guitarist Wolf Hoffmann leading the charge with his badass solo, the delivery of this song really is kryptonite to the skeptics and naysayers who doubt that musicians pushing 60 years of age have anything left to give. Hoffmann and bassist Peter Baltes — the only founding members of Accept still active in the band — have lost none of their energy, abilities or tightness to the years; together with Tornillo, they bristle with youthful exuberance as they seize any and every opportunity to brandish their instruments, headbang and rock out on the various pedestals stationed near the edge of the stage. When the time comes to focus on the new album, my assumption that the likes of “Koolaid”, “No Regrets” and “Analog Man” would provide excellent live fodder is proven wrong. Arriving in the wake of the groovy swagger of “London Leatherboys” (one of the standout tracks from 1983’s “Balls to the Wall”) and the burning intensity of “Breaker” (taken from its namesake album from 1981), they seem to have a lulling effect on the proceedings instead, and drive many an audience member toward the bar in search of refreshments. This could also be a general characteristic of Accept’s music however, as — let’s face it — there is very little differentiation between one song and the next. So while the five musicians never relent from charging ahead full steam, the joy of music beaming from their faces, the crowd’s reaction to even some of the classics fluctuates a lot over the course of the evening; some, like “Princess of the Dawn” (another fantastic piece of “Restless and Wild”), give rise to an enraptured atmosphere while others, such as “Up to the Limit” (from the last of Accept’s true classics, 1985’s “Metal Heart”), must make do with a more meagre response. For me it matters little what songs Accept have selected for airing tonight given that all of their most beloved material was released before I was even born and never became my most treasured music. What is interesting to me is the showmanship that accompanies them. At times the German troop seems nigh untouchable, steamrolling through the likes of “Objection Overruled” — a turbocharged, Motörhead-esque chop that establishes itself as a highlight of the evening for me — while at other times the lack of spontaneity, including almost no interaction with the audience apart from the usual formalities, makes the whole spectacle seem a bit too choreographed for my liking. But even so, after the band has worked through a selection of its most revered classics (“Fast as a Shark”, “Metal Heart” and “Balls to the Wall”) on both sides of an encore, it is quite remarkable how gentlemen of this age can muster the stamina to deliver a two-hour concert without their level of energy dipping even once. 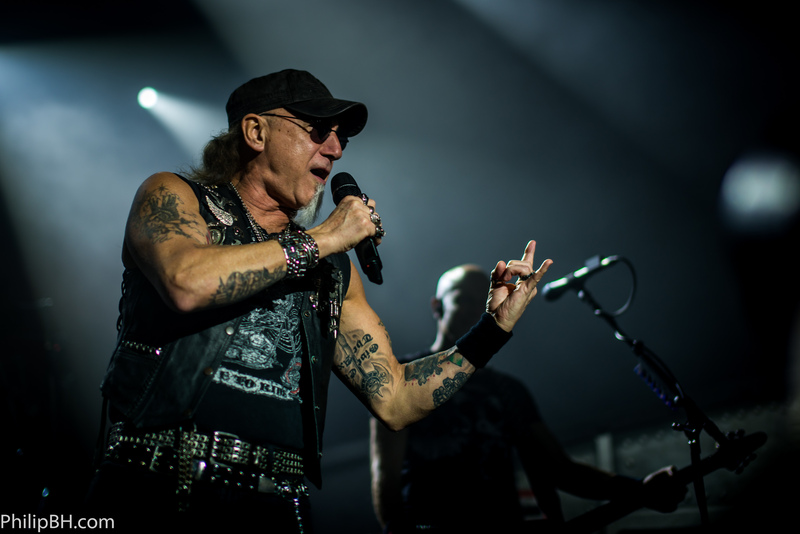 Accept may not be the most inventive band out there, but time after time they prove themselves to belong among the top brass of the great live bands in metal.